The game Mass Effect 3 should start rolling in the US today and will be available in the rest of the world in the next few days and unfortunately it will apparently not be great when played in stereo 3D mode with 3D Vision as hinted by the demo released a while ago. The good news for the stereo 3D gamers out there is that the community is already quite ahead in resolving the issues that the game has in stereo 3D mode and there is already a fix addressing most of the problems that the demo had (it is based on the demo version). The fixes are based on the DirectX 9 wrapper developed by Helix and he is also taking an active part in modifying literally hundreds of shaders in the game for proper stereo 3D rendering. Of course when the full game is released there will probably be a need for more things to be modified, but most of the work is probably done already. So download the 3D Vision fix while waiting for the full game to become available and if you find any other issues, please make a savegame and share it with information about the issue, so that additional fixes could be added. This way we might be able to get the Mass Effect 3 to a 3D vision-ready state not from the developer, but thanks to the efforts of the stereo 3D gaming community. You can check this Helixmod Wiki for some stereo 3D game fixes based on the DX9 DLL wrapper mentioned above that were made by other S3D games like you. And if you want to try the tool yourself, you are welcome to do so and of course also share your modifications with everyone else that might be interested in using them, especially if you have some experience with vertex and pixel shader programming. If you are interested you can find more information about Helix’s DX9 DLL wrapper and how to use it here. And if that is something that does not interest you that much or is too hard for you, just check out the modifications shared by other users, you might find something useful. Getting back on the topic about the upcoming ME3 game, if you are a big fan like me and cannot wait for the new installment to become available, you can check out the Mass Effect 3 Contest currently being held by Nvidia. You might be able to win some cool hardware if you have a good knowledge of the Mass Effect world and show it in the Mass Effect 3 Trivia Sweepstakes, just have in mind that participation is limited to only some countries – United States, Nederlands, United Kingdom, Canada, Germany, Brasil, Czech Republic and Australia. 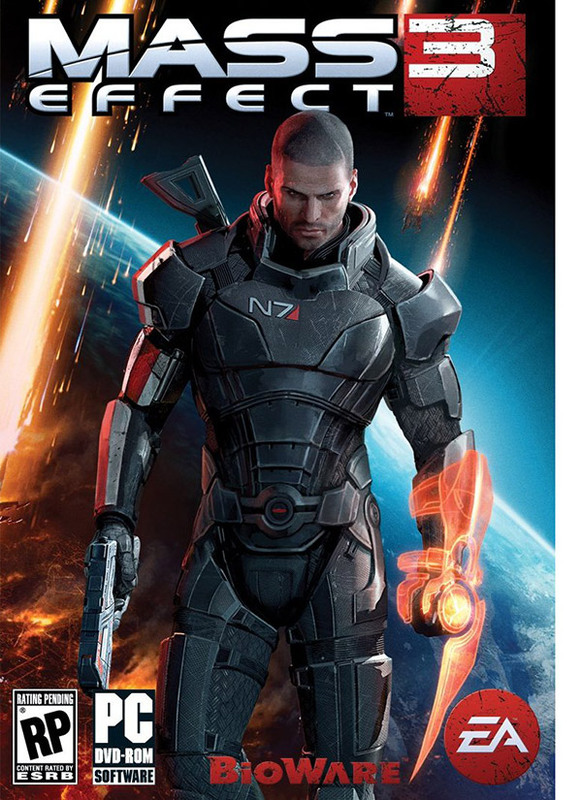 Just a few hours ago EA has made available the demo version of the upcoming game Mass Effect 3, you can download the demo through Origin, and as ME3 is among the games that I’m eagerly anticipating I was in a hurry to also try it out in stereo 3D mode with 3D Vision. Unfortunately as soon as the game started I was a bit disappointed with a few things that were not even stereo 3D related, like the lack of many graphics options or the fact that some of the textures in the game were quite low quality. For more graphics options you can find in the game folder an executable called MassEffect3DemoConfig.exe that will give you some more options, and considering the fact that this is just a demo, the actual game could be better… at least I hope that we get high resolution textures there as well. As for the stereoscopic 3D support with 3D Vision… another bigger disappointment as Mass Effect 3 suffers from pretty much the same issues as the previous game in stereoscopic 3D mode, so apparently not much done to improve it here. There is an issue with the rendering of shadows in stereo 3D mode and more specifically the dynamic shadows that you can fortunately turn off from the options menu in the game, but that is pretty much the thing you can easily do to improve how the game looks in stereo 3D mode. The HUD contains quite a few 2D elements, and that goes not only for the crosshair, but for character and enemy target markers, some objective markers and texts as well. There are issues with some post processing effects such as fire, lights, fog, smoke etc that may not be rendered correctly in stereo 3D mode and that also can cause the appearance of transparent halos around characters. The latest beta drivers 295.51 from Nvidia still did not have a 3D Vision profile for the game, there was a SLI profile added in them for ME3. Convergence is not locked in the game, so one good thing, but also something that hints that stereo 3D support wasn’t even considered as a feature for Mass Effect 3. So things aren’t looking that good for everyone willing to play Mass Effect 3 in stereo 3D mode with 3D Vision. There is still some time, although not much, before the game gets released early next month, so there is high probability that we are going to be playing it in plain non-stereoscopic 3D mode.